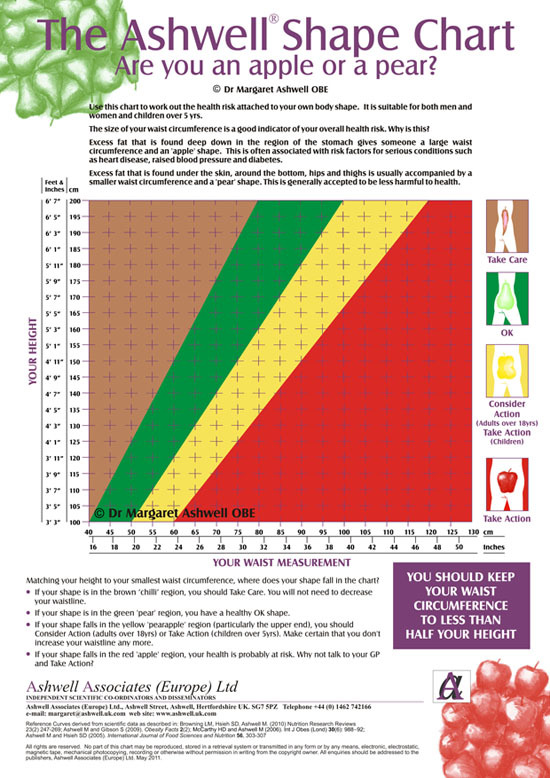 Ashwell® Shape Charts (© Dr Margaret Ashwell OBE), which are full colour printed on A4 gloss coated paper made from forestry sustainable materials, can be ordered on request. You can order the standard chart (50 minimum order) or customise the chart to your organisation/company (1000 minimum order). Your logo can be added to the front of the chart and it is also possible to customise the back of the Ashwell ® Shape Chart - with permission.